Welcome to my website. It showcases the different types of photographs I take as well as videos and recent blogs. I think photography, as much as any form of creativity, can reflect a person's personality and how they view the world. I enjoy photographing many different things, which I think you'll be able to see from my work, and I guess that reflects my personality; from portraits, weddings and events to landscapes, street photography and art. Over the years I've been photographing, the thing that always drives me on is aiming for better photographs. I've always enjoyed taking photos but only took up photography seriously in my twenties and coming to it relatively late and the frustration that came with not being very good right away gave me the drive to improve. And the best way to improve is to do, and do, and do. I took over 50,000 photos in my first year. Some were good, I thought that some were great, (though now I think were probably more to do with luck) but most were a rude awakening to the fact that I needed to improve! There are so many different types of photography and different techniques and methods we can use to enable us to capture something we want to convey, especially in the digital era where technology is always updating itself, so there's always something more we photographers can learn, which is great! The three most important things for me in photography are: timing, light and depth. If you have good timing, can use your camera to make the most of light and can find depth in everyday things, then you're on the right track to becoming a great photographer. It's no surprise that these three things are also the fundamentals needed to understand how cameras work: shutter speed (timing), ISO (light adjustment) and aperture (depth of field). Having said that, being technically sound alone will not provide those most special of photographs that we all love. They take something extra, more intangible, something related to the soul that cannot be quantified so easily. Some people call this 'having an eye' but to be a great photographer I believe you need to use your eyes, your heart and your head. 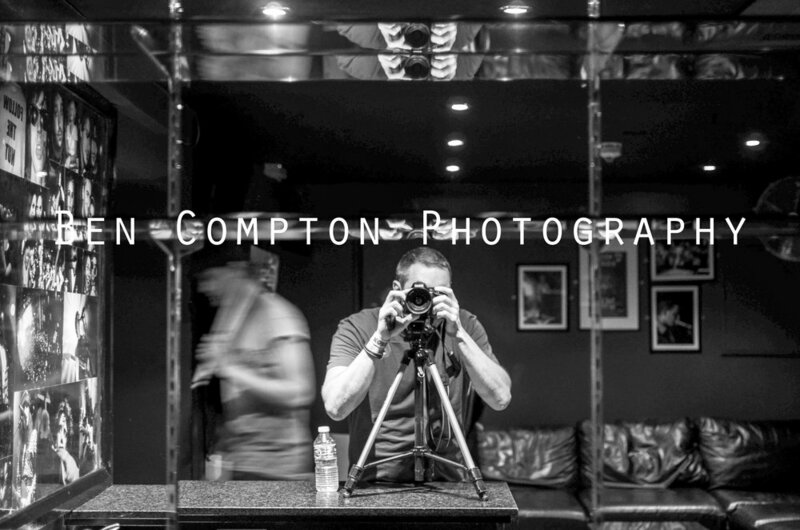 Please feel free to browse my portfolio and other pages, give any feedback, share on social media and get in touch at info@bencomptonphotography.com for any enquiries.